“Engineering Excellence”, a phrase easily applied to the pristine example of this Mercedes E-Class. Trimmed in Grey leather and finished in stunning White paint work. 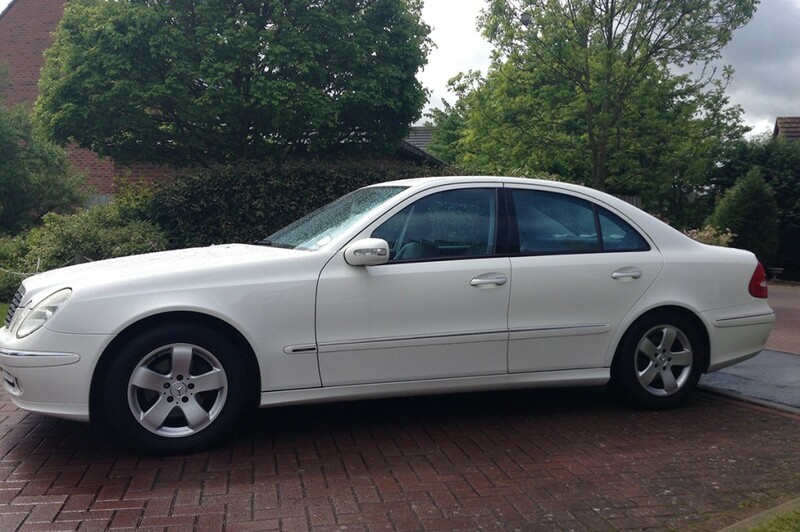 The Mercedes E-Class is a superb modern car and is absolutely perfect for any wedding party. Whether your special day is a traditional or contemporary event this modern Mercedes has all the style you could ever ask for. Sporting a powerful engine with silky smooth automatic transmission, AC, CD player, ABS and most other modern necessities, this Mercedes can seat up to four passengers plus driver and is simply fantastic.